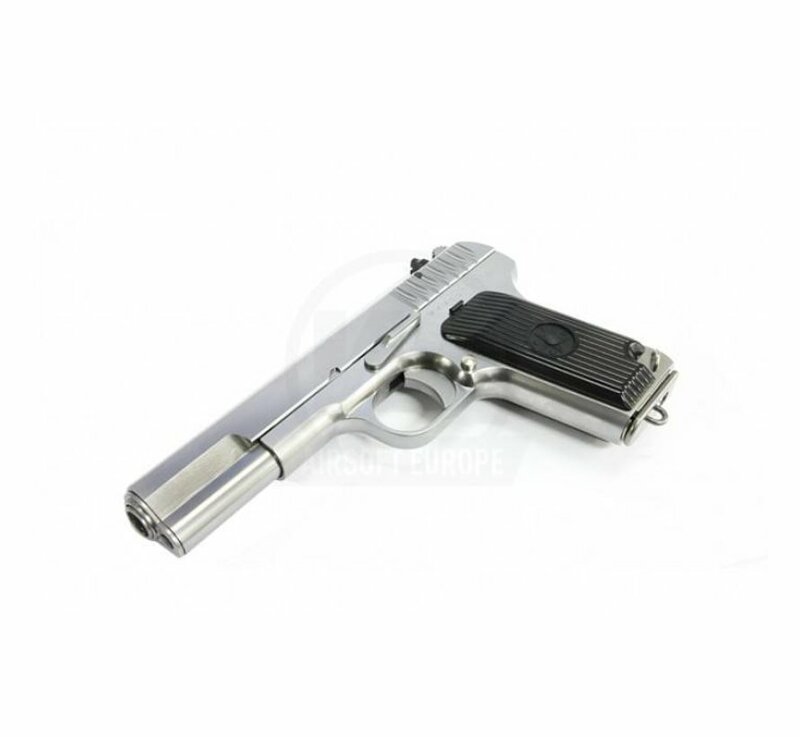 WE TT33 Silver GBB Airsoft Gun Replica. 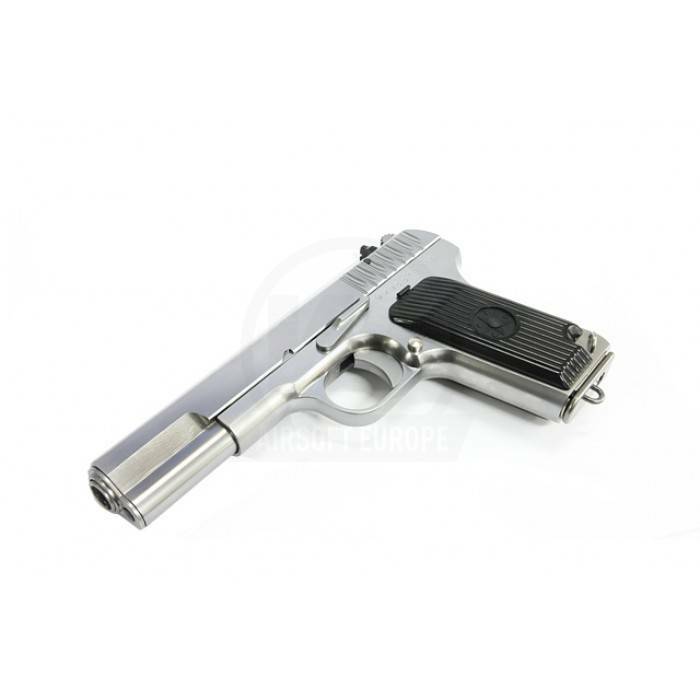 Like the original pistol replica is made entirely of metal, only the grip pads are made of composite with star and CCCP letters. On the left side of pistol grip is placed trigger safety and lanyard loop. The replica has a strong blowback recoil system, which makes shooting very realistic. After the last shot, the slide remains in the rear position.